IGFA has been representing anglers world wide, keeping World Records and setting the rules for ethical game fishing, since 1939. The IGFA Fishing Hall of Fame and Museum at its Florida headquarters houses the largest single collection of fishing films, photographs and publications in the world. No where else is the history and evolution of sport and game fishing being recorded so thoroughly for generations to come. The world of modern fisheries management is a complex and oftentimes contentious environment. Many of our favorite recreational fisheries are imperiled due to habitat degradation and commercial overfishing. Sadly, recreational fishing interests often take a backseat to commercial fishing practices. The reason for this is simple. Commercial interests are much better represented on management and political levels. Thus, it is vital that recreational anglers are represented during the fisheries management decision making process. Fisheries managers need to be shown that recreational fishing is a growing and vibrant entity of its own that has considerable participation and economic impact globally. This cannot be done without active participation and interaction with fisheries management. IGFA is uniquely suited to function in this capacity internationally. Several IGFA staff, representatives and trustees have experience participating in fisheries management. Internationally, IGFA has observer status with key regional fisheries organizations (RFMOs) such as the International Commission for the Conservation of Atlantic Tunas; Western and Central Pacific Fishery Management Commission; Indian Ocean Tuna Commission; and Inter-American Tropical Tuna Commission. These RFMOs are responsible for managing highly migratory species such as tunas, marlin, sailfish, sharks and swordfish. These species do not know borders, so international cooperation is vital to their management and conservation. With over 300 International Representatives in nearly 100 countries and territories, IGFA is the recreational organization to represent angler interests at an international level. ANSA has enjoyed a long and harmonious relationship with IGFA. 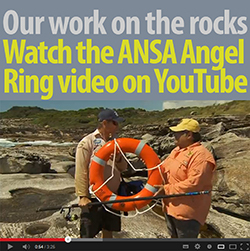 ANSA is a longstanding contributing club member of IGFA as are also many ANSA State Branches and clubs throughout Australia. Many ANSA members also hold individual membership of IGFA. ANSA’s game fishing rules mirror those of IGFA and ANSA has historically had member representation on the IGFA International Committee of Representatives. Currently both John Burgess and Bill Sawynok are the ANSA representatives to IGFA. All ANSA State branches and clubs are encouraged to join IGFA. 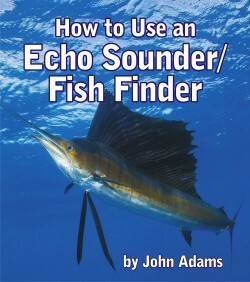 The cost is minimal at USD50.00 annually for a contributing club membership and for this you will receive a mailed copy of the IGFA world record annual report (which is an excellent read and provides detailed information on fishing rules and regulations and the processes for claiming world records) together with regular periodical newsletters including an excellent junior angler publication. Your club or branch will also have direct email access to the IGFA electronic data base for current world records and the capacity to process world record claims. Individual members of ANSA are also encouraged to consider IGFA membership – the cost is USD40.00 annually. IGFA is offering a special deal of USD30.00 for new memberships before 30 June 2009. Membership forms are available at www.igfa.org. It needs to be understood though that membership of IGFA does not automatically entitle members to participate or compete in conventions and competitions conducted by GFAA or its Australia wide state branches and clubs. Some GFAA clubs do permit ANSA members to compete in their tournaments so as a matter of courtesy you need to check the entry requirements with the host club. 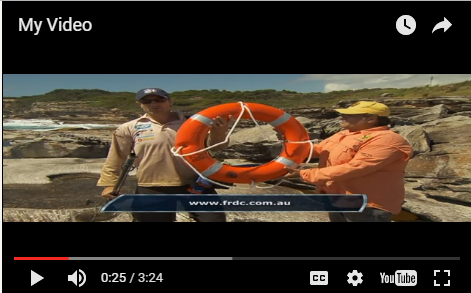 If you are intending to lodge a dual claim for an IGFA world record and an ANSA line class or length only Australian record then you need to refer to the ANSA website process for lodging record claims. For the purpose of ANSA line class records, ANSA will accept and abide by the IGFA record decision and the outcome on line testing.